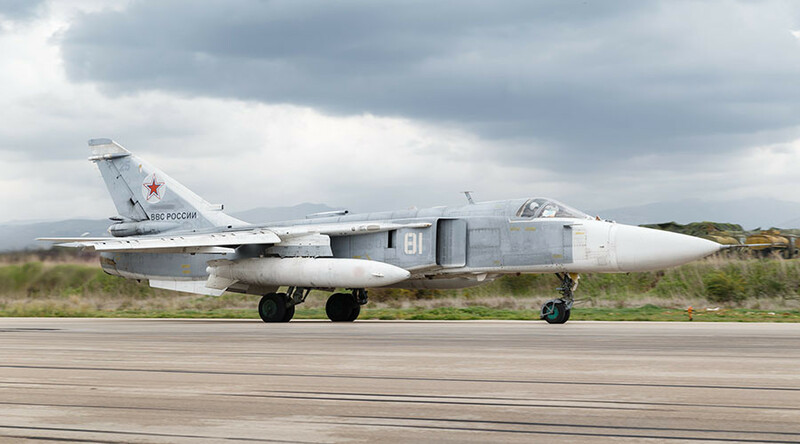 “On October 10, an Su-24 skidded off the runway and crashed while accelerating to take off for a combat task from Khmeimim Airbase in Syria,” the statement said. The two-person crew failed to eject. A technical malfunction of the plane could have caused the crash, the ministry says. Russian aircraft have been based at the Khmeimim Airbase in Latakia province since September 2015, when Moscow launched its operation to battle Islamic State (IS, formerly ISIL\ISIL) terrorists in Syria. Over the past week, Russian jets have intensified their sorties, conducting up to 150 airstrikes per day. In 2016 Russia lost two aircraft, an Su-33 and a Mig-29, both deployed from the carrier ‘Admiral Kuznetsov’ off the coast of Syria.